Up until the onset of social media, when you had an issue with someone, or when a customer had a complaint, they would usually come to you and express the problem in person. This gave your or whoever you placed in customer service the opportunity to respond, apologize or solve the problem. No one else was usually involved, and other customers won’t usually know about the issue. But, in the current world, where anyone and everyone can post whatever they want to on the web, if someone complains about your product or services, it is all too easy to make that complaint publicly online. Additionally, the person is usually overwrought, excited and angry, so it is also too easy to exaggerate whatever the issue is; and this creates negative SEO for your business. Why is this so important? If you haven’t paid attention to your Online reputation and made sure there are positive reviews and posts related to your business, then this creates a negative image to people who search for your industry or product; and unfortunately, online marketing statistics show that most consumers first research a product or service online before purchasing it. When there is even just one defamatory comment and no positive reviews on a product or service, then this can cause a consumer to change his mind in regards to a purchase. Additionally negative information placed on the web can remain there indefinitely; meaning it could affect your sales over the long term and substantially affect your profit. To prevent this from happening many businesses are becoming proactive, and implementing effective, online reputation management or SEO processes. These processes can be implemented by the company itself, or by contracting an SEO or Online Reputation Management (ORM) services company. The Process Learning how to defend yourself against negative SEO is not difficult. It’s just a matter of reading up on effective SEO and uploading positive information on your business, using the same keywords as those used in the negative SEO comments. The first thing you have to do to start managing your online reputation is to research your name, business name, and industry. Use Google to search for your company and use all variations and misspellings of your company name. Do the same on other search engines to look for deflamatory information on your company. Notice the number of positive reviews, comments and information in contrast to the negative. These are a couple of tools you can use to monitor your online reputation. Google Alerts – configure Google alerts so that any new information posted to the Internet relating to your business name keywords is emailed to you. This way you can perform damage control before the information affects you currently – A free search engine that examines social media websites like twitter and Facebook for special keywords. 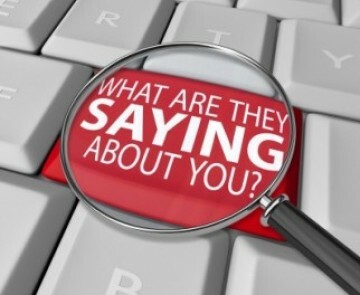 By inputting your business keywords you can find out what is posted about your business. Minimize Negative Information If you notice negative comments, articles or information about your company, you can minimize this by adding lots of interesting information, tips, favorable comments, blog posts and forum posts. Make these even more effective by key wording them with the search terms used to find your business. If there is a lot of negative information than positive you should look for professional help to change your online reputation. Just because learning how to defend yourself against negative SEO is easy, doesn’t necessarily mean you have the time to do it. Bottom Line, managing your online reputation can be a time consuming process. All you have to do is make sure more positive information is listed than negative, but this requires many different Search Engine Optimization tools, lots of writing and research. Because most business owners don’t have time to implement these tasks, they often contract the services of a reliable SEO Manage. Mezee Chat offer new opportunities to young web entreprenuers to share your SEO experiences with new SEO communities.